Click here for a map of the entire cape/National Seashore area. 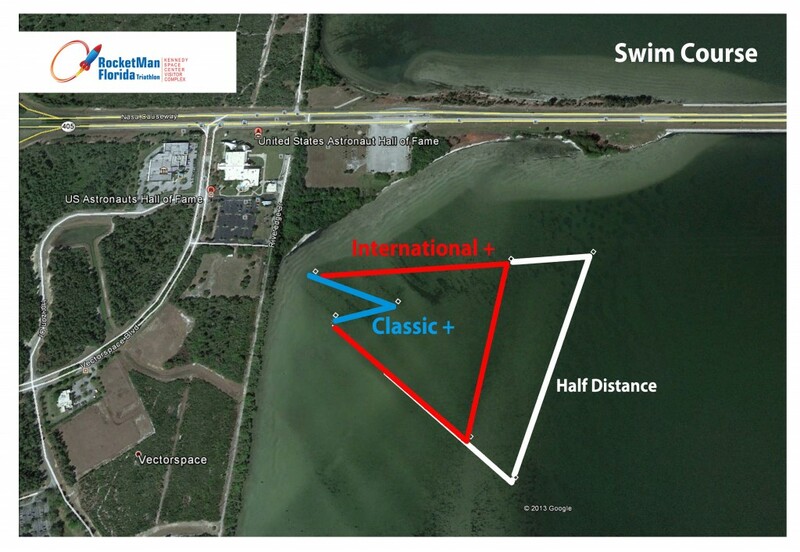 The swim will start and end to the southeast of the Astronaut Hall of Fame. Athletes will leave the shore and into the waters of the Indian River. They will wade more than 100 yards east through clear and mostly knee and waist-deep water before reaching the deeper waters where the marked and measured swim course will begin and end. Following their respective swim distances, all athletes will again run back through these shallow waters to reach the bank and nearby transition area. With water depths of 3-13ft, the swim will be in the protected waters of the Indian River which is North America’s most diverse estuary with more than 2,200 different species of animals and 2,100 species of plants. It serves as a spawning and nursery ground for many different species of oceanic and lagoon fish and shellfish. The lagoon also has one of the most diverse bird populations anywhere in America. Nearly 1/3 of the nation’s manatee population lives here or migrates through the lagoon seasonally. In addition, its ocean beaches provide one of the densest sea turtle nesting areas found in the Western Hemisphere. Cyclists will leave the transition area just south of the Astronaut Hall of Fame and cross over State Road 405 enjoying beautiful water and wildlife views as they head east to the Kennedy Space Center. 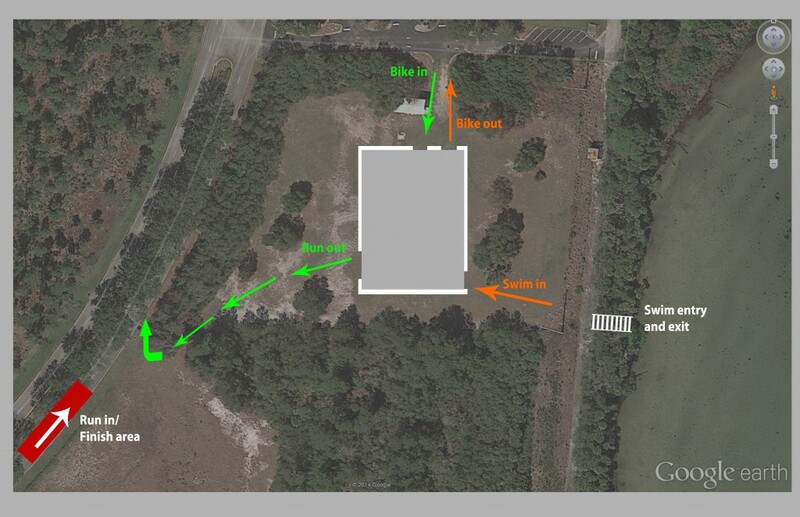 One entire side of State Road 405 will be closed to auto traffic so cyclists will have a closed course to the gate. 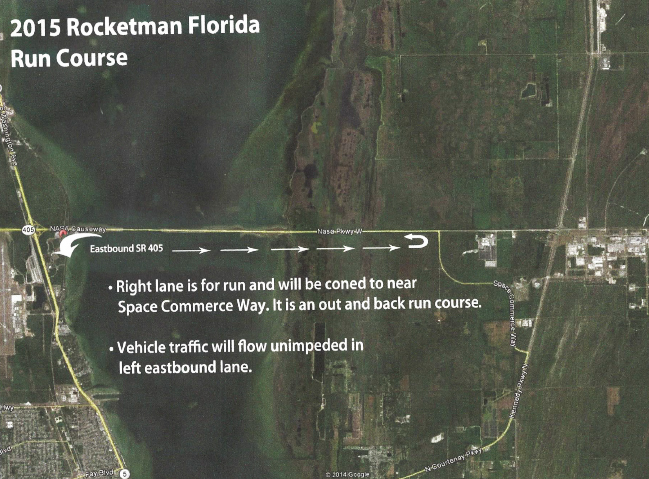 There will be a Gatorade bottle exchange at the main entrance of KSC at approximately miles 5 and 27 on the course. 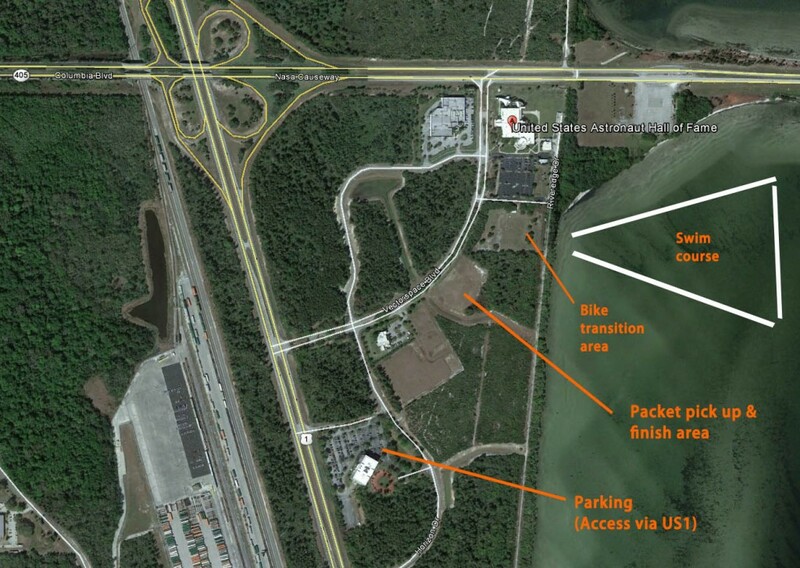 There will be no other formal SAG stops inside the secured areas of KSC. Once inside KSC, cyclists will head north on the Merritt Island National Wildlife Refuge past natural Florida scenery and the NASA Railroad before turning east on the Saturn Causeway. Heading east on this route, cyclists will pass directly in front of the giant Vehicle Assembly Building, the Launch Control Center, the NASA Press Site, the Crawlerway and both launch pads used for the Apollo and Space Shuttle programs. Athletes will again pass by these structures and more on the return to the Kennedy Parkway and subsequent return to transition area at the Astronaut Hall of Fame. 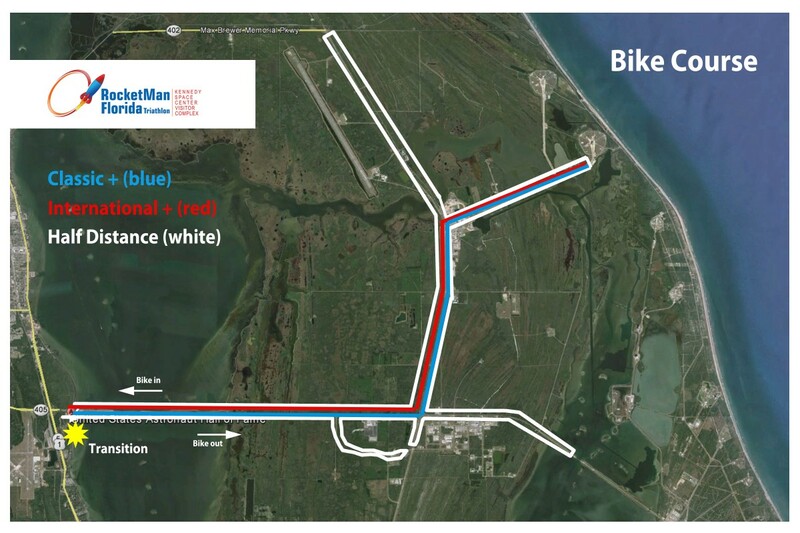 The Run route will take athletes east on State Road 405, across the Intracoastal waterway bridge and toward the space center on the same route as the first stage of the bike course. All distance races utilize the same road, and all are out and back running routes. Other than the start and finish near the Astronauts Hall of Fame, the entire portion of the run route is riverfront and will offer distant views of the space center and Vehicle Assembly Building and up close bird and marine wildlife viewing opportunities. There is no shade on the run course other than the last half-mile leading to the finish line area. See images of the course on the Course Scenery page.